Jenni gained a deep passion for cross cultural missions while attending the University of California at Santa Barbara. Her experiences on campus as a student leader with Inter Varsity Christian Fellowship as well as her participation in short-term missions trips to Mexico and Europe profoundly impacted her life. Jenni graduated from UCSB in 1992 with a degree in Cultural Anthropology and she later received a graduate level certification in the Perspectives on The World Christian Movement course through Fuller Theology Seminary. Jenni has experienced God's powerful, redemptive hand on her life in the midst of tragedies as well as miracles and she is overjoyed to share her story whenever possible. She loves speaking on missions and orphan care and especially enjoys challenging young people with the call to the Great Commission. Jenni also loves blogging, dancing, Zumba, playing the piano, singing, spending time with her amazing family and friends and overseeing Moms in Prayer for her kids' school district. Jenni met her husband Mike in 1993. One of the things that drew her to Mike was the fact that he had served in short-term missions in over fifty countries. They were married in 1994. 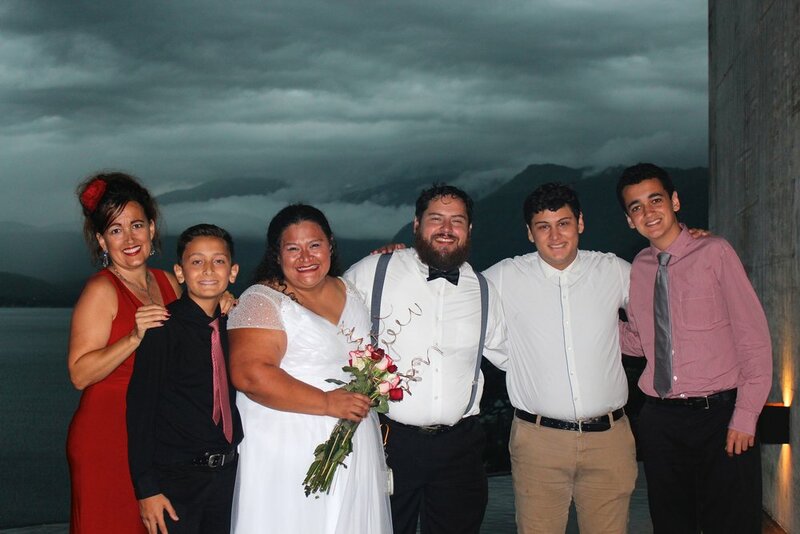 Two months after their wedding they moved to Mike's alma-mater in Kona, Hawaii, The University of the Nations (Youth With a Mission), where Mike led their three month Discipleship Training School and together they led their team on outreach for two months in Costa Rica. Mike and Jenni have three children. Jordan (17) is a bright, gifted leader who loves competing in speech and debate, politics and apologetics. Aidan (15) is artistic, energetic, enjoys sports and travels with Jenni as much as possible to El Salvador. Both boys have served in El Salvador and have been involved in many outreach projects through their schools. The Ramseys adopted Hailey (7) in 2012 in South Korea after experiencing a failed adoption in El Salvador. Hailey is extremely outgoing and loves animals and music. The Ramseys are passionate about the orphan crisis and mobilizing others to care for orphans through outreach trips, foster care and adoption. Jenni founded the So Cal Orphan Care Network while living in California and continues to encourage adoptive parents through her blog posts and support groups. The Ramsey family moved to North Texas in 2015, where Mike began working in management and sales for Coldwell Banker, Frisco. Both Mike and Jenni serve on the missions board and help to lead the orphan care ministry at Lighthouse Christian Fellowship in Prosper, Texas. Jenni has served in short-term missions over the past thirty years in sixteen countries, mainly in Latin America as the Missions Director for New Harvest Community Church (CA), The Village Church of Irvine (CA) and His Hands His Feet. Jenni is thrilled to be able to lead outreach trips to Central America as these trips combine her passions for missions, orphan care, discipling young people and her love for the Latin culture. Stephanie Keenan and Jenni Ramsey worked together for many years on staff at New Harvest Community Church in Irvine, California. Their families have been very close, serving together in California, Guatemala and El Salvador while attending New Harvest, which later became The Village Church of Irvine. Stephanie and Jenni also served together on the missions board at The Village Church of Irvine, where their mutual passions for global missions and missionary care grew. Stephanie has been volunteering with His Hands Hands His Feet for eight years. She is passionate about reaching at risk children and works full time as a payroll supervisor for Olive Crest, a non-profit organization dedicated to helping abused and neglected children. Stephanie has volunteered as a foster parent and has also been involved in local outreach in her own community for as long as she can remember. She brings her accounting and administrative background to His Hands His Feet as well as her deep love for the people of El Salvador. Stephanie's son Stephen began serving with His Hands His Feet as a teenager and he later volunteered in El Salvador for eighteen months with Sus Hijos, one of our ministry partners. The entire Keenan family travels often to support and serve alongside our ministry partners in El Salvador. Stephanie's family shares a deep burden for missions and she has served overseas in Haiti, Mexico and El Salvador. God has called her specifically to focus on building long-term relationships in El Salvador. Stephanie is heavily involved in organizing the quinceanera outreaches. The dream of hosting quinceaneras for teen girls in El Salvador was birthed in Stephanie's heart through her heart breaking conversation with teen girls in a government run orphanage in 2011. Since that time His Hands His Feet has organized and facilitated six quinceanera parties for young women living in orphanages and special needs homes in El Salvador. Dave and Tanya have played a significant role in the leadership of His Hands His Feet. Dave’s grandparents were full-time missionaries to Central America and his father who was raised on the mission field. The Easons invited Mike Ramsey on a trip to El Salvador in 2006 when Dave and Mike served together on The Village Church of Irvine Elder Board. They were blessed to volunteer in a Christian orphanage during this trip, which influenced the Ramseys’ decision to apply to adopt in El Salvador. Both Dave and Tanya have participated in numerous His Hands His Feet trips. Tanya has been instrumental in serving on our quinceanera trips as an esthetician. She has waxed hundreds of eyebrows and brought joy to many, many girls in El Salvador through her ministry, “Radiant Faces.” The Easons are members of Coast Hills Church, in Aliso Viejo, CA, where Dave serves as an elder. Lindsey Warneke is a teacher and former basketball coach at Crean Lutheran High School in Irvine, CA. 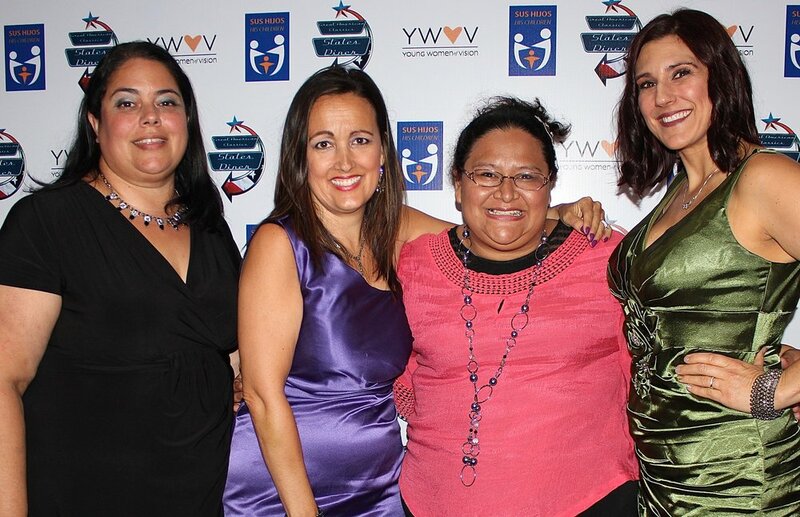 She has participated in five short-term trips to El Salvador as the school leader for Crean. Lindsey has a deep passion for discipling teenagers and loves taking teens on short-term missions trips. She has also been involved in Crean’s short-term trips to Mexico and Jamaica. Lindsey has played a significant leadership role in recruiting and supporting Crean students who have volunteered with His Hands His Feet. She is currently working on a Master’s Degree in School Counseling from Concordia University.